The analysis of bone tools in the archaeological record is often qualitative, with a lack of awareness of the artifact as a complex tool with its own specific curation and life history. The CEAD research group is currently testing hypotheses regarding specific damage morphologies created while using bones as tools, and tracking how patterns in damage change over time. 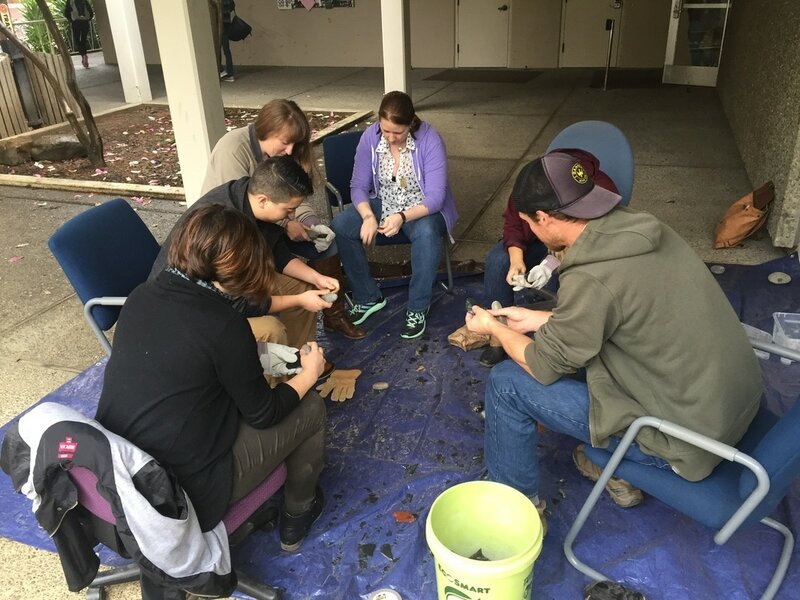 This project aims to help CEAD researchers make inferences regarding behavior and knapping strategies in non-lithic tool technologies. We are working on examining archaeological evidence of some of the earliest uses of fire engineering to improve the quality of stone tool raw materials for their use in tool production. The heat treatment of silcrete extends into the Middle Stone Age in southern Africa, occurring as early as approximately 74,000 years ago. 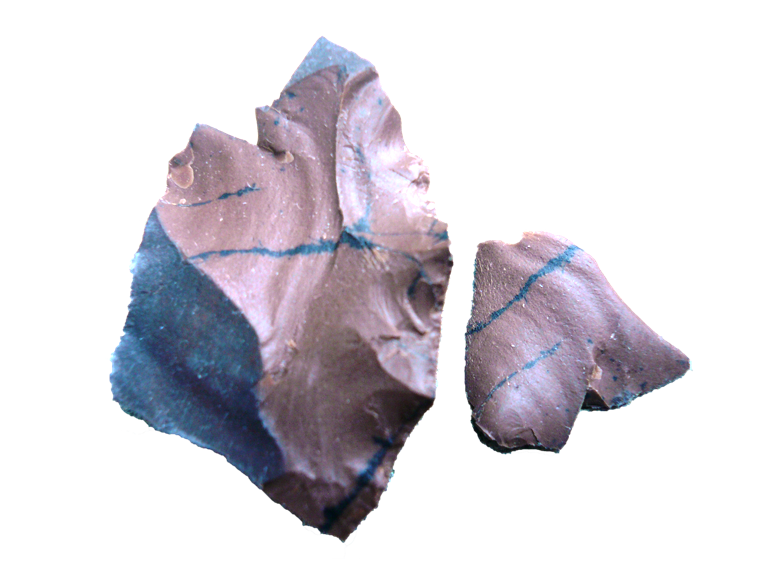 Through experimental efforts to better understand the conditions under which heat treatment of silcrete occurred in southern Africa we can gain insight into the conditions under which this process arose and became a regular part of tool production, as well as the level of investment required in the stone tool production process , with implications for the energetic costs of acquiring food resources for early modern humans living during this time. Photogrammetry and 3D technology is proving useful in other areas of Anthropology such as Paleoanthropological bone reconstruction. Current archaeological utilizations for the technology include museum curation, instruction tools, outreach, and research. CEAD is currently focused on using 3D software in research and experimental applications as they pertain to lithic and site reproduction and analysis. Thermal annealing aka lithic heat treatment is a process whereby prehistoric craftspeople controlled the cooking of cryptocrystalline silicate raw materials as a pre-treatment for the production of flaked stone tools. Evidence for heat treatment in California spans the terminal Pleistocene to contact in the late Holocene. This study uses controlled and in-field experiments to decipher potential "recipes" used to successfully heat treat lithic raw materials from California's two main chert formations: the Monterey formation and the Franciscan formation. Special attention is paid to heat treatment procedures and implications for cultural transmission as well as new analytical methods for identifying evidence for controlled heat treatment in the California archaeological record. 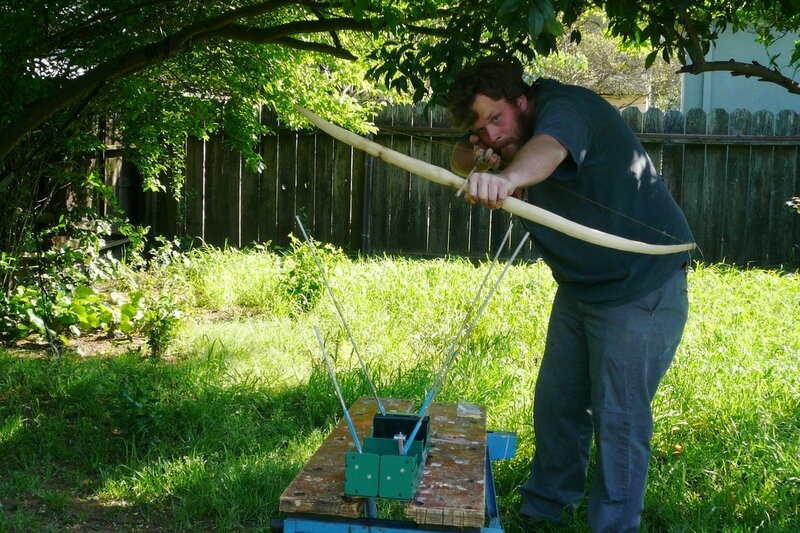 This study is aimed at replicating archaeological and ethnographic bows, arrows, atlatls, and darts from California and the Great Basin to address manufacturing time, efficiency, and projectile velocity. 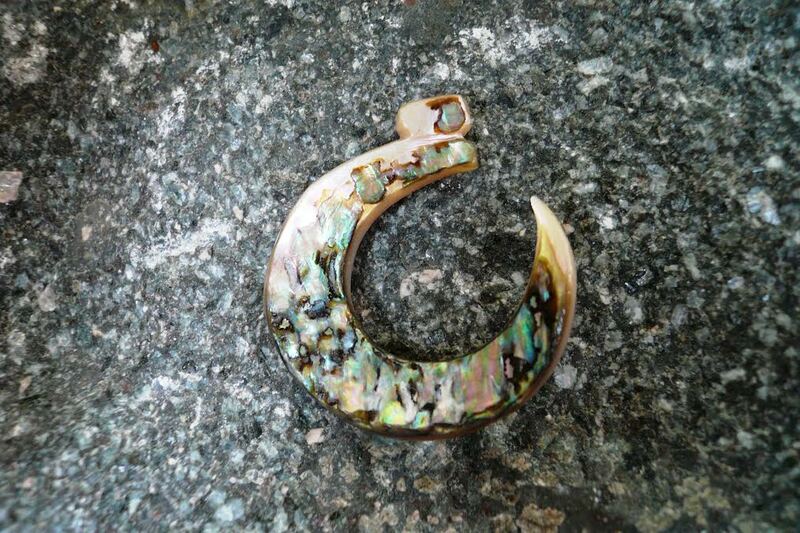 Special attention is paid to wood species, replication with period appropriate and locally reproduced stone tools (as well as tools made on bone, antler, wood, etc). This experiment has potential to help archaeologists understand wear patterns on tools used in the production of these technologies and therefore accurately identify bow or atlatl manufacturing loci in archaeological contexts. Additionally, this experiment will provide quantifiable data regarding projectile cast, speed, and force of impact that cannot be generated from ancient (and often very brittle) artifacts currently curated in archaeological collections.